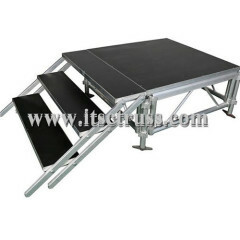 Modular stage has become dominant in the entertainment, conference and building markets. 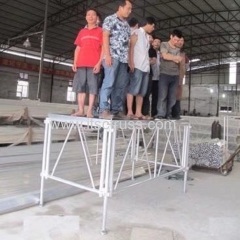 It is assembled by interconnecting, and varies in height and shapes and sizes. 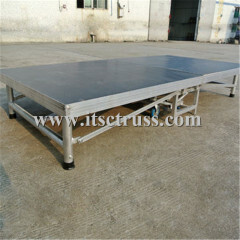 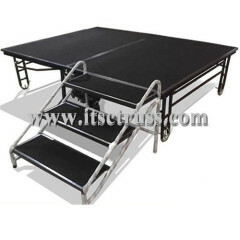 It includes aluminum stage, steel stages, foldable stages, acrylic stages, ect. 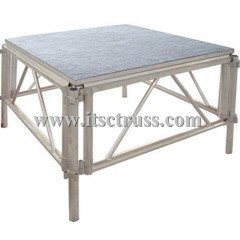 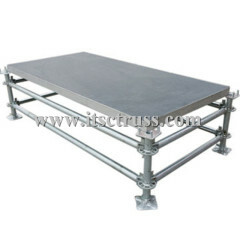 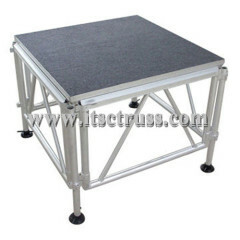 ITSCtruss fabricates aluminum stages and portable stages direct to roadshows, events, weddings, celebrations, gymnasium. 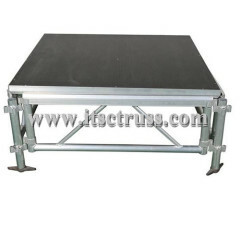 This arcylic modular stage is hotsale at factory price to India, Malaysia, Ontario, UK, ect. 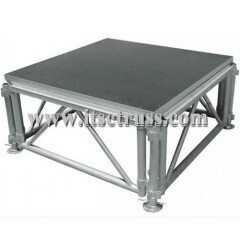 It is supported with aluminum frame and the acrylic deck. 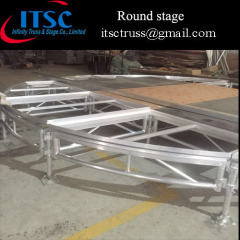 Round stage is complementing to a wide range of portable stages, With CNC rolling machine, they are fitted to each onter in accuracy easily. 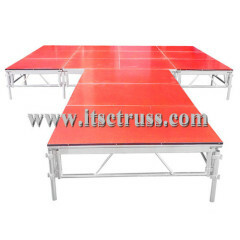 Group of Modular stages has been presented above, want more	Modular stages and Aluminum staging, steel staging, movable staging, Please Contact Us.